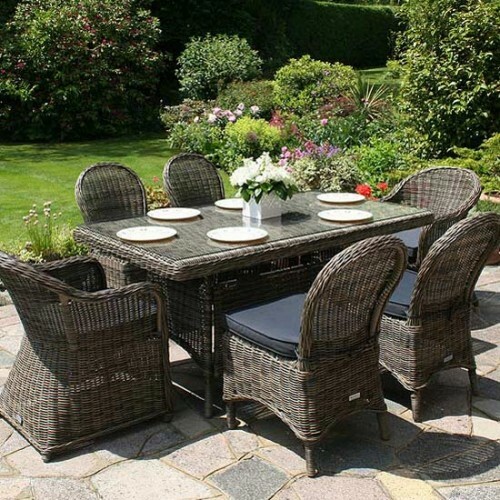 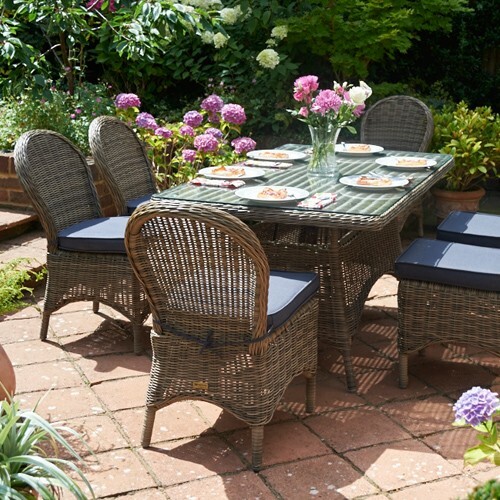 With this Mayfair garden dining set, you can enjoy stylish alfresco dining on your doorstep. 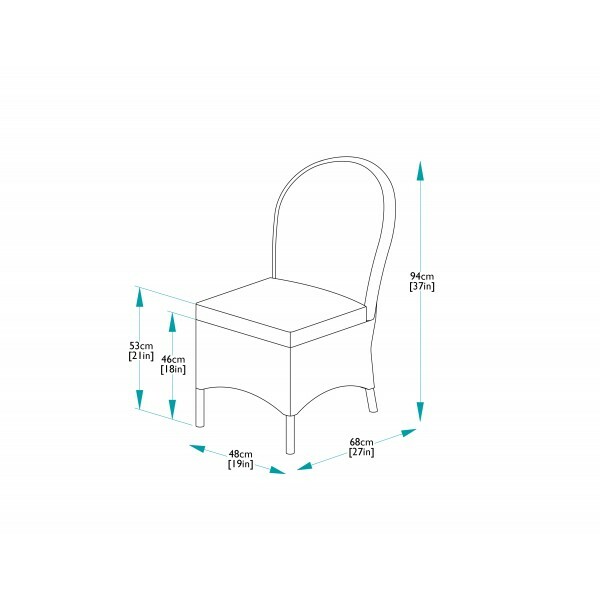 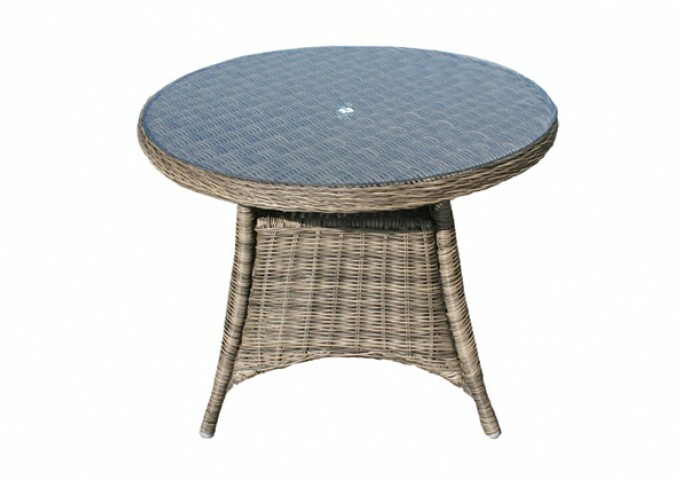 This set includes a Mayfair 100cm round dining table and four Dining Chairs so is perfectly proportioned for a small sized deck or patio. 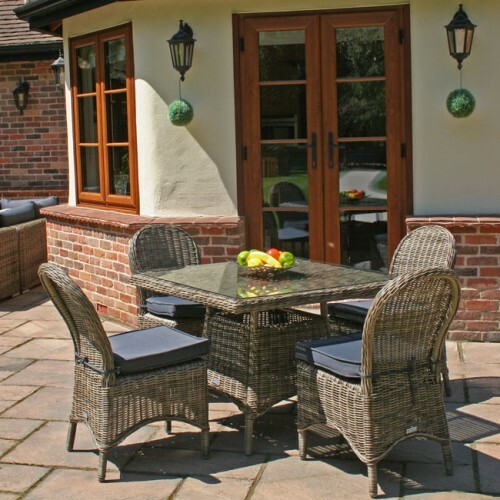 The Mayfair collection offers a selection of stylish, weatherproof furniture that makes it easy to enjoy any good weather that comes our way. 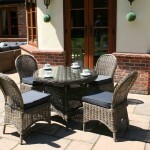 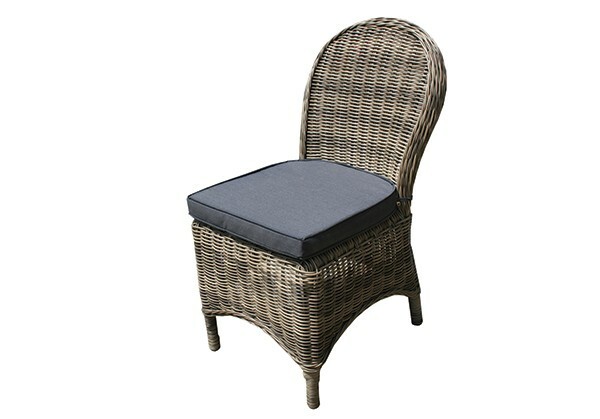 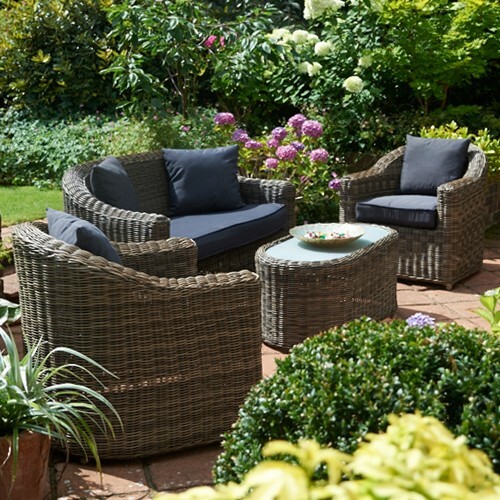 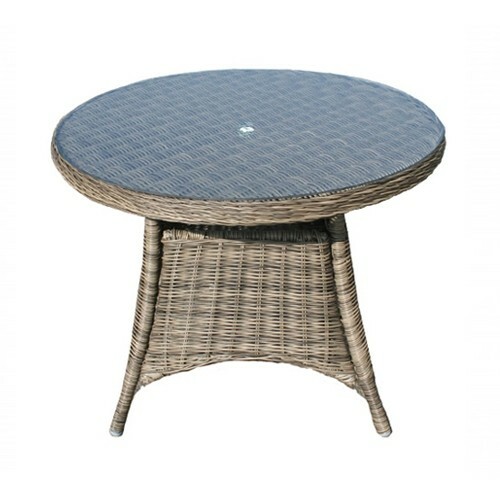 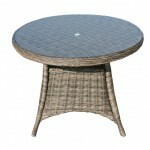 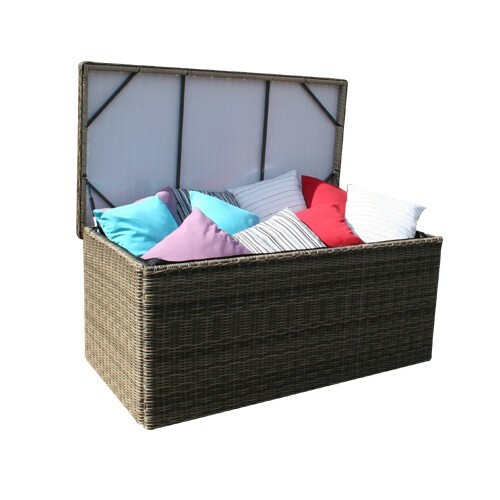 Each coordinating piece is maintenance free and easy to clean with an aluminium and synthetic rattan construction. 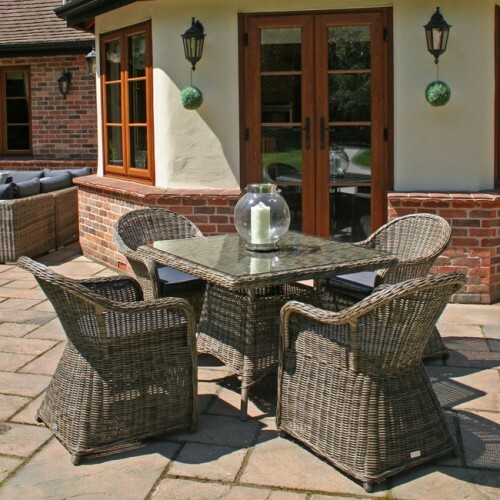 The olive-toned weave combined with the curves of the design gives a natural appeal to the set that will sit elegantly within a garden or conservatory. 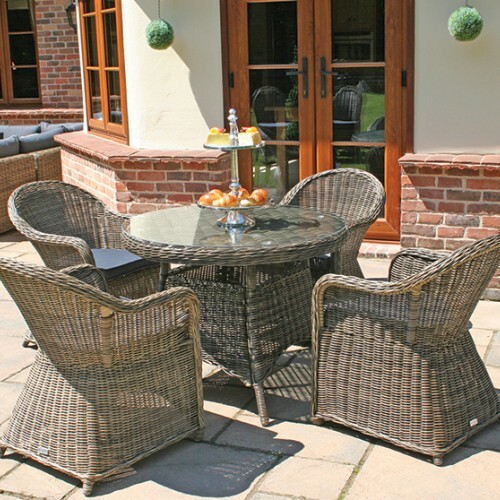 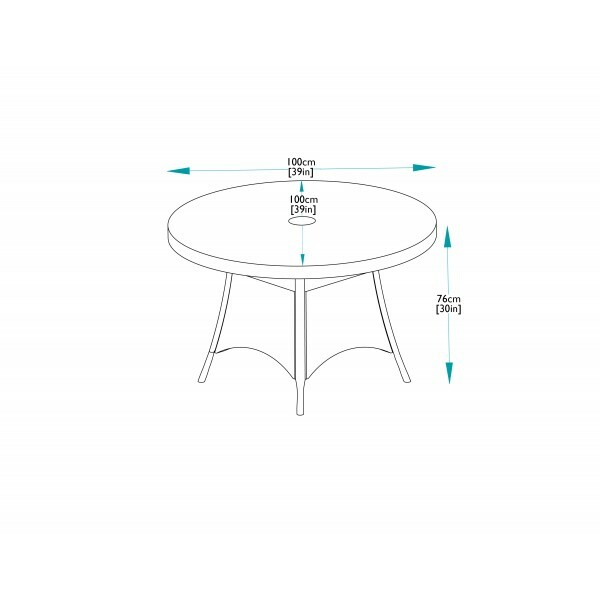 The round table is topped with clear safety glass and provides a relaxed setting for four people to gather on the four chairs provided. 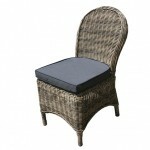 The chairs offer comfort with the shaped backrests and are also supplied with seat pads in grey fabric covers. 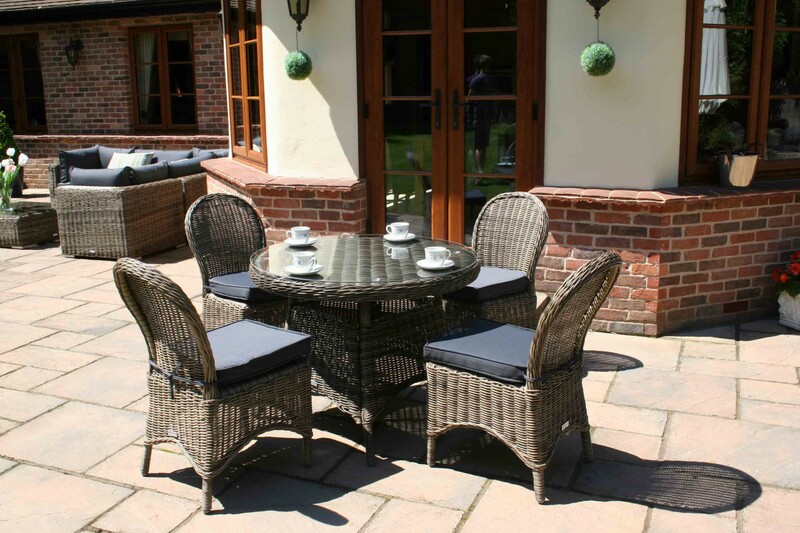 "Excellent products, very happy. 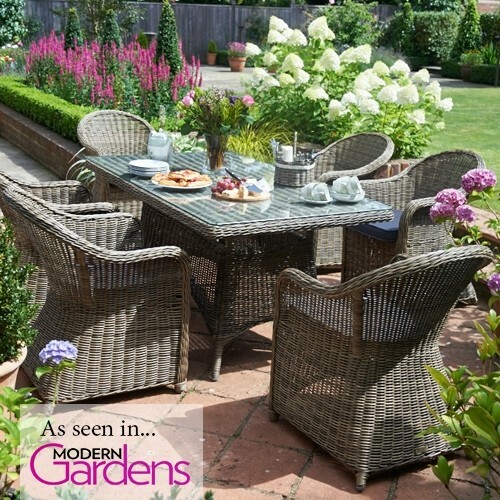 Would recommend & visit again."